White Instant Bunny Kit.Includes: One headband with bunny ears, bunny tail and choker.Available Size: One Size Fits Most Adults and Teens. *Stockings, Costume and Accessories Not Included. Sold Separately.Your bunny costume wouldn't be complete without this White Instant Bunny Kit! Features white bunny ear headband, bunny tail and choker. Bunny ears on a clip are pink and white in color.The package has one pair of bunny ears on a clip.Bunny ears on a clip perfectly goes with the bunny costume. Bunny Kit with Sound.Includes: One Bunny Ear Headband, Bunny Tail and Nose with Sound.Features: Bunny Set with Sound. 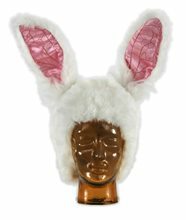 Just press the nose!Bunny Animal Sound Set - Animal Costume Accessory includes headband w/ears, neck bow, nose with sound and tail. Bunny Top Hat.Includes: One Bunny Top Hat. Available Size: One Size Fits Most Adults and Teens. *Costume and Accessories Not Included. Sold Separately. 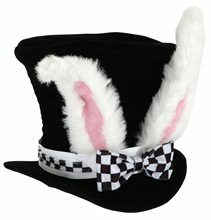 Complete your white rabbit costume with this Bunny Top Hat! Bunny Tutu Accessories Kit.Includes: One pink bunny tutu with bow and headband with attached bunny ears. Available Size: One Size Fits Most Children. *Costume and Accessories Not Included. Sold Separately. One size fits most children since they stretch. For children ages 2-6 years old. 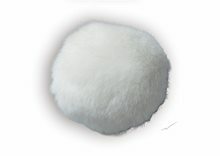 Bunny Tail White;Bunny Costume Accessory ,comes with tail. Amazing Product! Try to it.